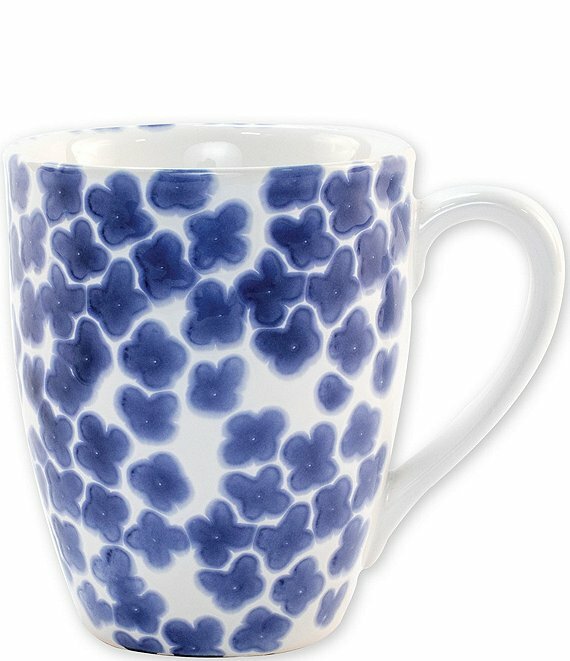 Recreate the beautiful mosaic tiles found in the Greek Isles with the Santorini Flower Mug, painted on hard ceramic in a fun blue and white pattern. Approx. 4.5" H, 14 oz.